This original polish summer with Monika movie poster was designed by Wojciech Zamecznik in 1958. Ingmar Bergman movie, starring Lars Ekborg and Hariet Anderson. Wojciech Zamecznik (1923-1967), graphic and poster artist, photographer, exhibition designer. 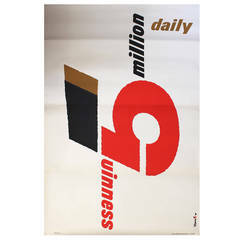 Zamecznik was among the most eminent representatives of the Polish school of poster, however, his engineer’s approach earned him a distinct position among the artists of the movement. In the post-war circles of Polish graphic artists and designers he was a pioneer of artistic use of photography in graphic works. Zamecznik’s interest and use of photography brought him close to the tradition of Russian constructivists: Rodchenko and Lissitzky.